There is the surface, and then there is what lies beneath. Our lives are so often spent frantically skimming across the surface, racing from one event to the next, one milestone after another, phase to phase, ice flow to ice flow. It can be treacherous. It is often unsatisfying. Appreciating abundance is a familiar state. If the snow is deep enough, we can ski. If there is enough food, we can feast. If the tide is in, we can surf or swim or fish. We look for abundance. We cheer its presence. Nature offers more than abundance, and Rachel Carson understood this. 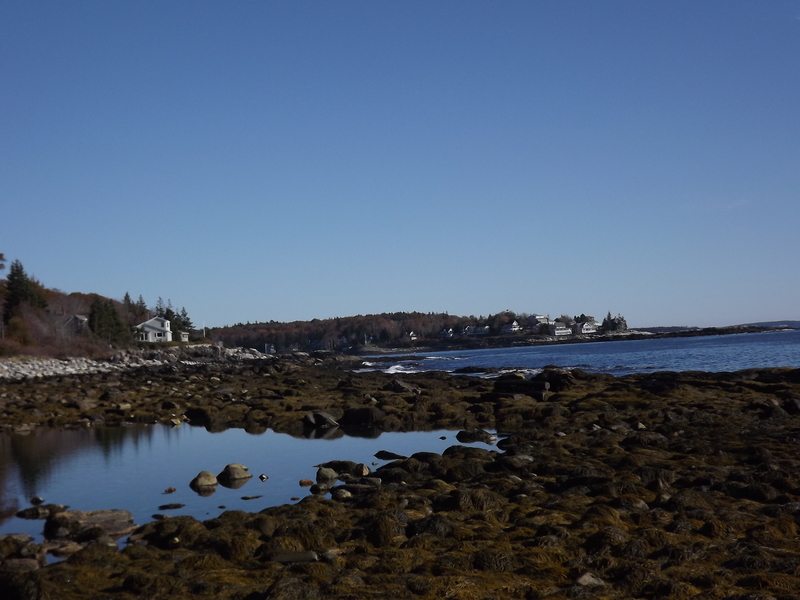 She would quietly sit by the shore in New Harbor, Maine, observing the tides, appreciating the birds and the salt and the sounds so abundant at high tide. 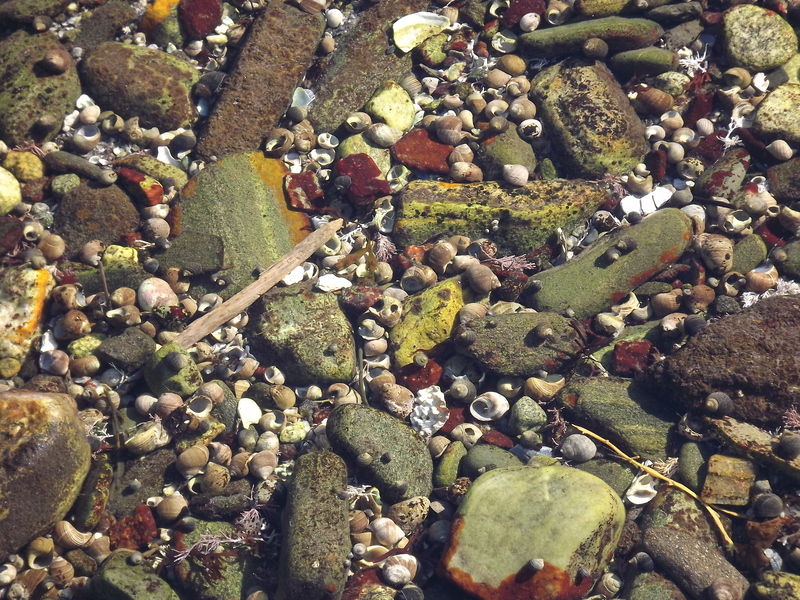 And when low tide pulled the watery covers off of the beds of rocks and mollusks and plants, she observed, appreciated, and learned anew. All of the songs, and maxims, and greeting card mushy banalities have that germ of truth: Stop and smell the roses. Slow down, you move too fast. It seems so obvious that it is tempting to skim over this truth each time, and race to that next event. 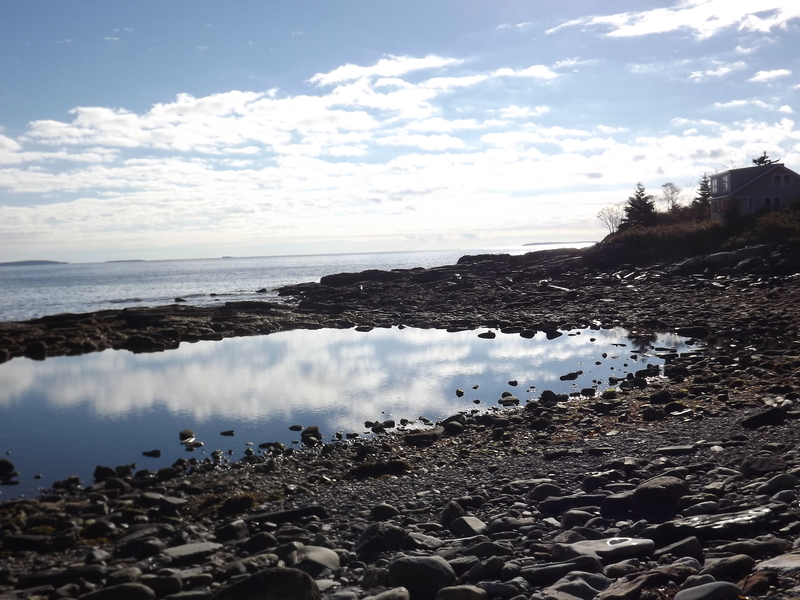 But kneeling by a tidal pool at low tide, I paused. I hope I don’t stand up again too quickly. 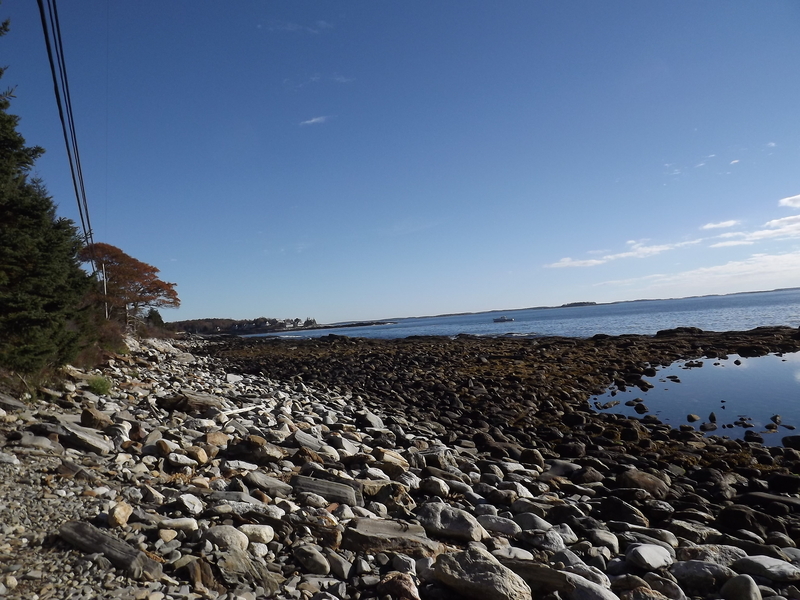 The Rachel Carson Salt Pond Preserve: looking north. The ocean, the land, and that very compelling tidal pool. 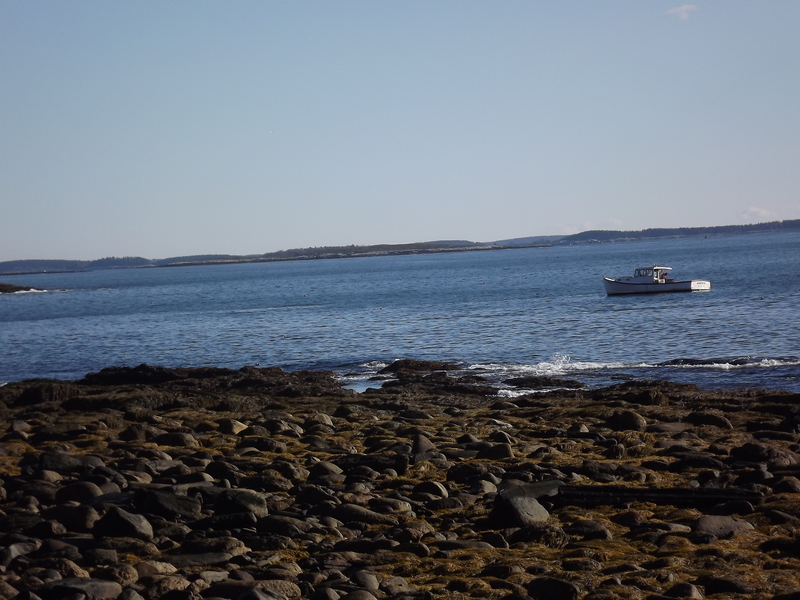 Just offshore, a lobsterman hauls up his traps. And the smells…can’t forget the smells. I was recently at the shore at low tide and the smell instantly brought me back to my childhood and all the time we spent on my family’s boat. Such memories! The salt smell is heavenly, I agree! And scents are powerful memory enhancers. I understand now why people used to travel to reap the benefits of the sea air.